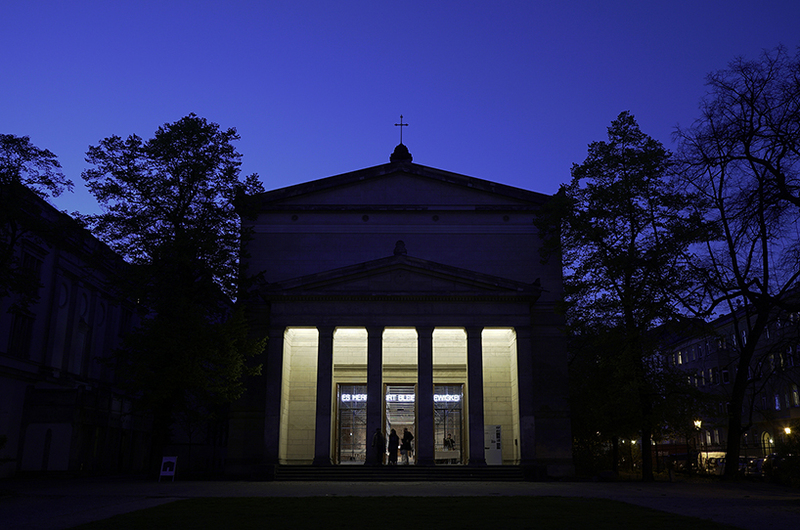 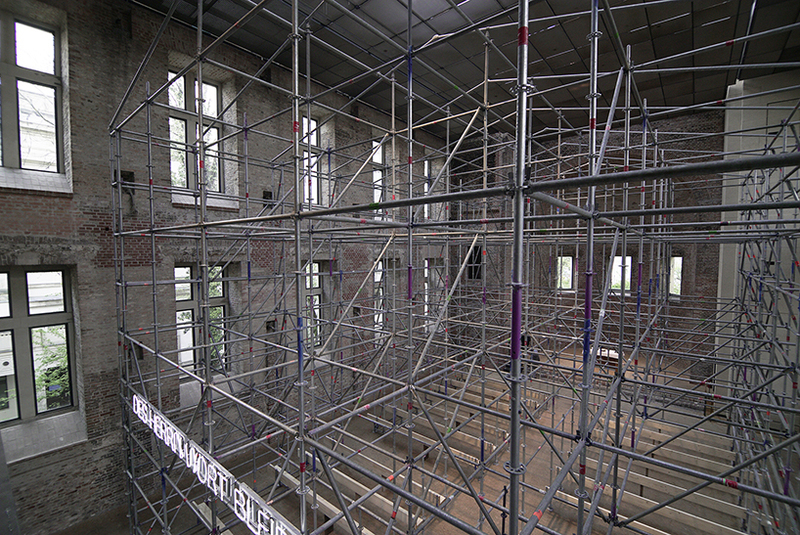 heavily damaged during world war two, famed architect karl friedrich schinkel’s st. elisabeth church in berlin chronicles a historical, cultural, and social change. 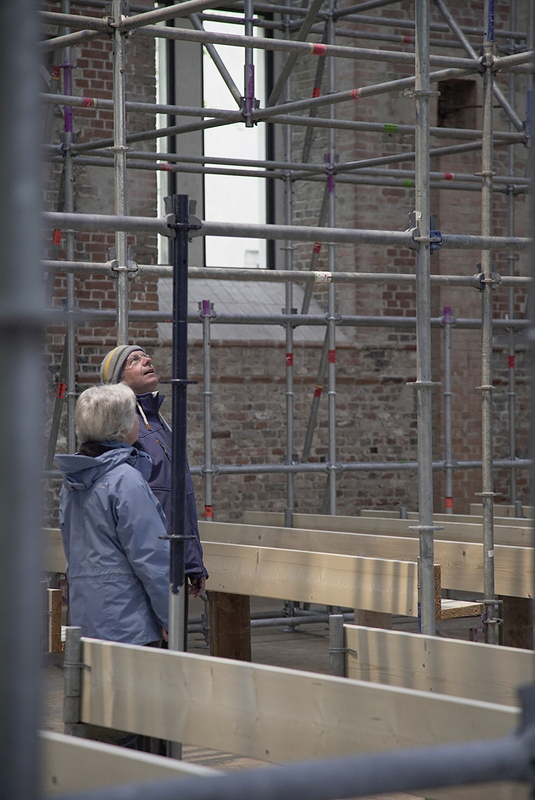 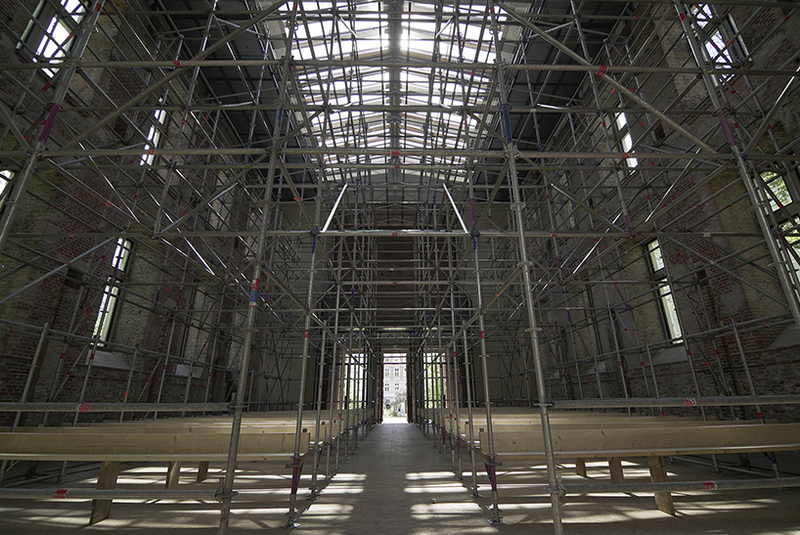 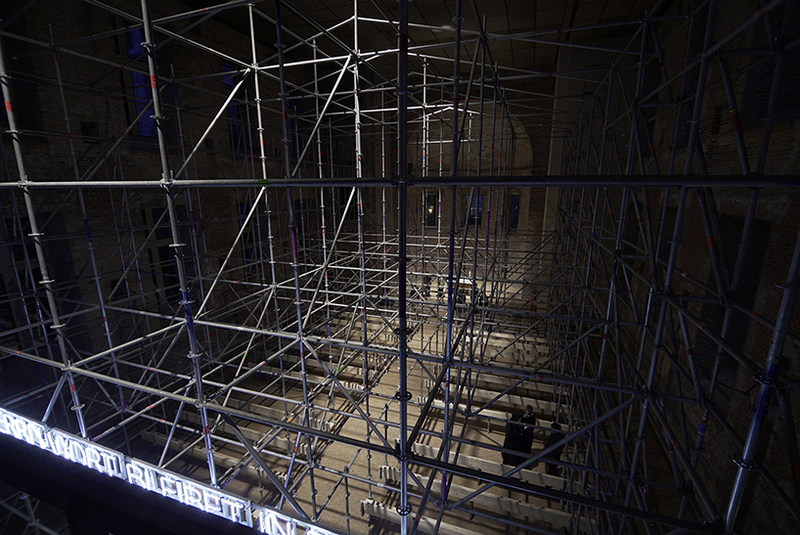 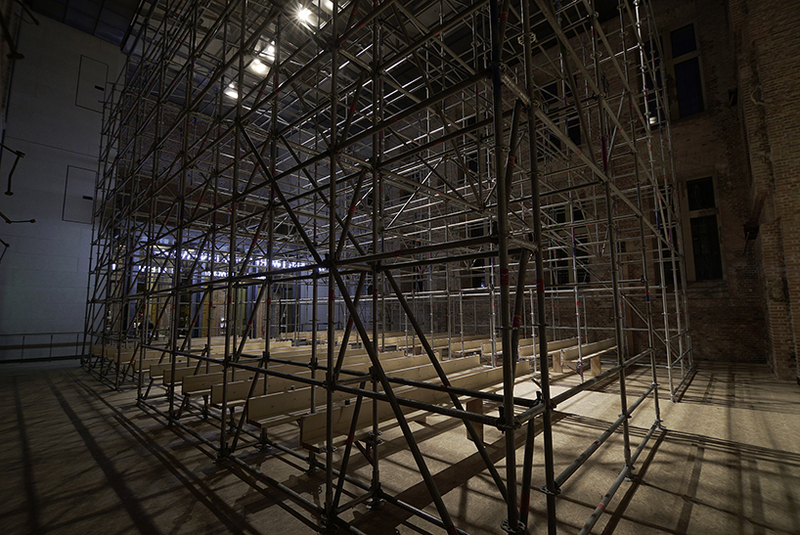 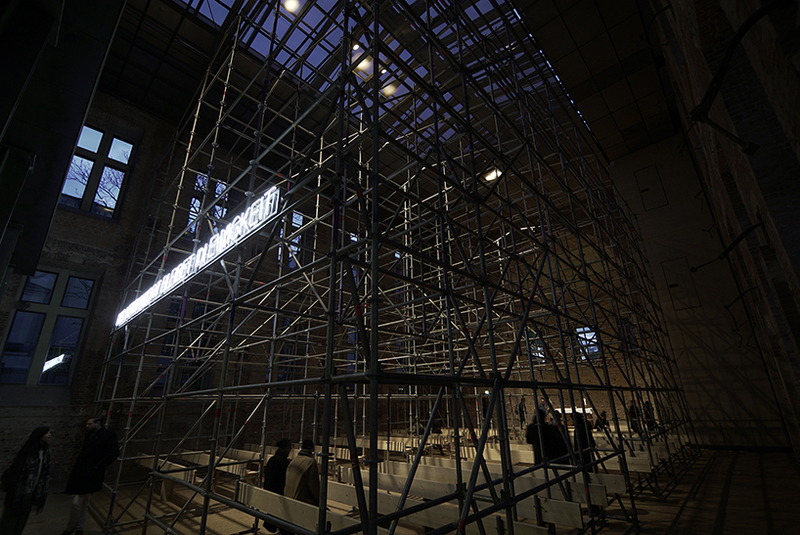 as an homage to his artistry, japanese urban architect riku ikegaya’s ‘nested churches’ installation features a steel-pipe scaffolding within the building, consisting of a scale model of schinkel’s architectural plans of the church. 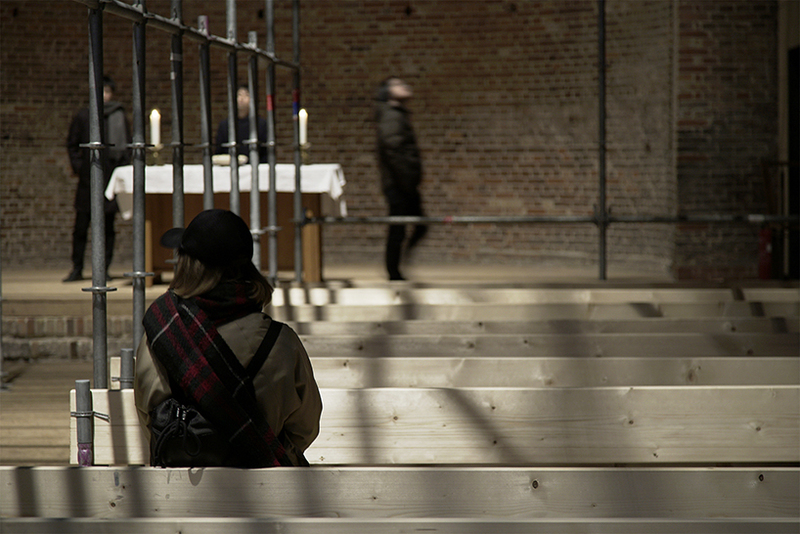 the sublime serenity of the church combined with the vital presence of the visitors creates a unique atmosphere. 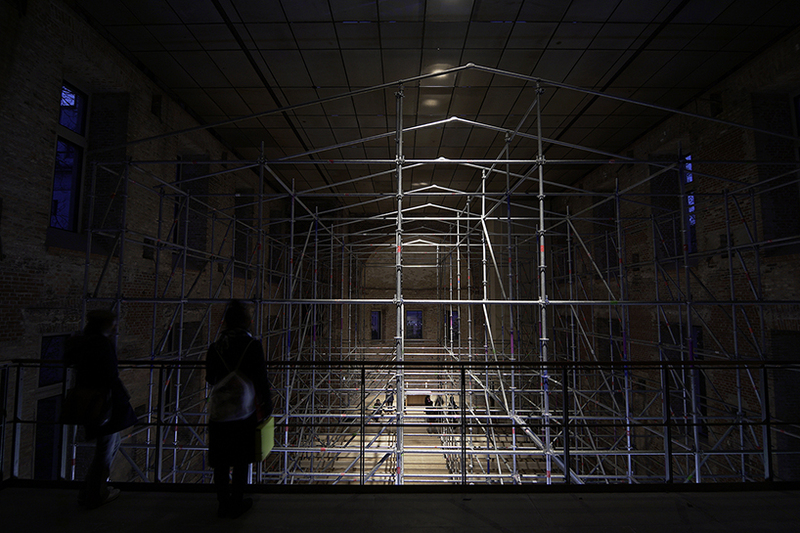 ikegaya‘s installation appears to be a three-dimensional architectural sketch in which guests can contemplate the auratic memory of the space. 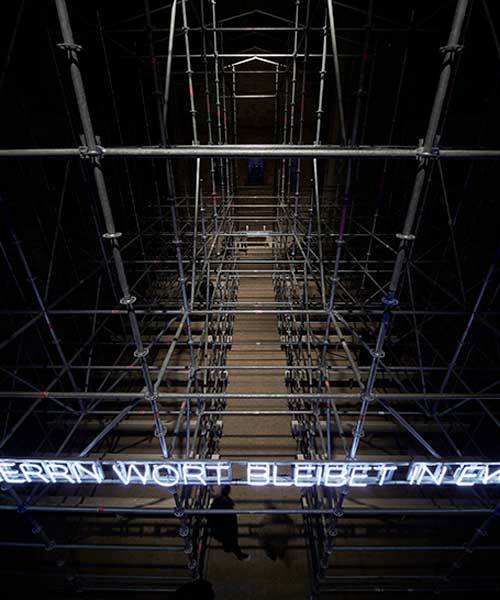 the neon sign on the scaffolding reads ‘ des herrn wort bleibet in ewigkeit’ which translates to ‘but the word of the lord endureth forever’ — the contrast of the stated bible verse and the unfinished scaffolding installation suggests that ‘the temporality of human existence is juxtaposed with concepts of eternity‘, according to the architect.